Home / News / Sweeeet! We Have 80,000 Facebook Fans! Sweeeet! 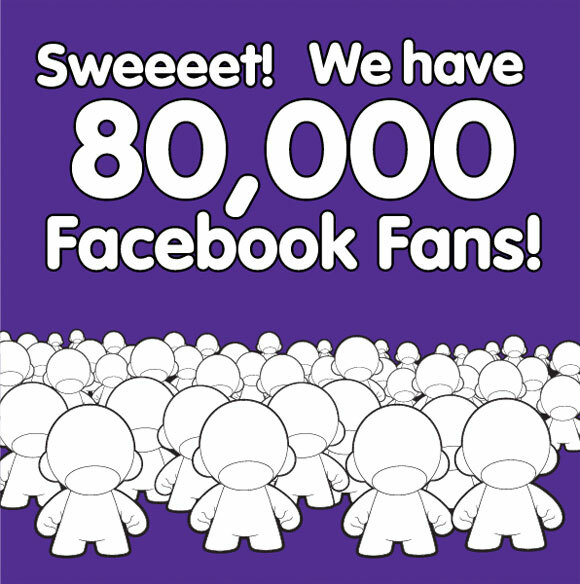 We Have 80,000 Facebook Fans! Kidrobot wants to celebrate our 80,000+ Facebook fans and thank all you technologically inclined socialites very much for “Liking” us. Good things come to those who “Like” us. Be a Kidrobot fan on Facebook now if you’re not already and celebrate this milestone with a little extra love today. The post Sweeeet! We Have 80,000 Facebook Fans! appeared first on Kidrobot Blog.